Company’s RPMA network and best-in-class partner solutions provide turnkey solutions for smart city environments. 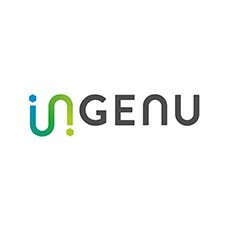 Ingenu Inc.™, the pioneer in delivering connectivity exclusively to machines, today announced the launch of the Ingenu Smarter City program. The program features a turnkey, end-to-end smart city platform based on Ingenu’s patented RPMA® (Random Phase Multiple Access) communication technology and innovations from Ingenu’s diverse partner ecosystem. The Smarter City program will provide access to municipal applications, delivering an all-in-one solution for the simplest deployment of smart parking, street lighting, water and electricity metering and management, proactive infrastructure management and environmental monitoring. Libelium – Designers and manufacturers of hardware and software development kits for wireless sensor networks that enable integration of reliable IoT and Smart Cities devices with minimum time to market. PTC – The PTC ThingWorx® platform is an enterprise-ready technology platform that enables innovators to rapidly develop and deploy smart, connected solutions for the IoT. Through the Smarter City program, cities quickly gain access to turnkey solutions that commonly provide a double digit return on investment within the first year of deployment. Unlike other collaborative projects and groups, the Smarter City program delivers ready-to-deploy applications that are built to support long-term smart city growth initiatives. The reach of the RPMA network is quickly growing as Ingenu continues its buildout of the Machine Network™ in the U.S., and further expands its Global Licensing Strategy across the globe. Ingenu’s vast partner ecosystem also offers RPMA-enabled devices and software on the network to monitor and manage applications from agriculture to waste management. To access Ingenu’s partner ecosystem, go to: http://www.ingenu.com/get-started/partners/.